The University of Tasmania’s world-leading polar autonomous underwater vehicle (AUV) and its support crew have returned home after a successful first deployment in Antarctica. 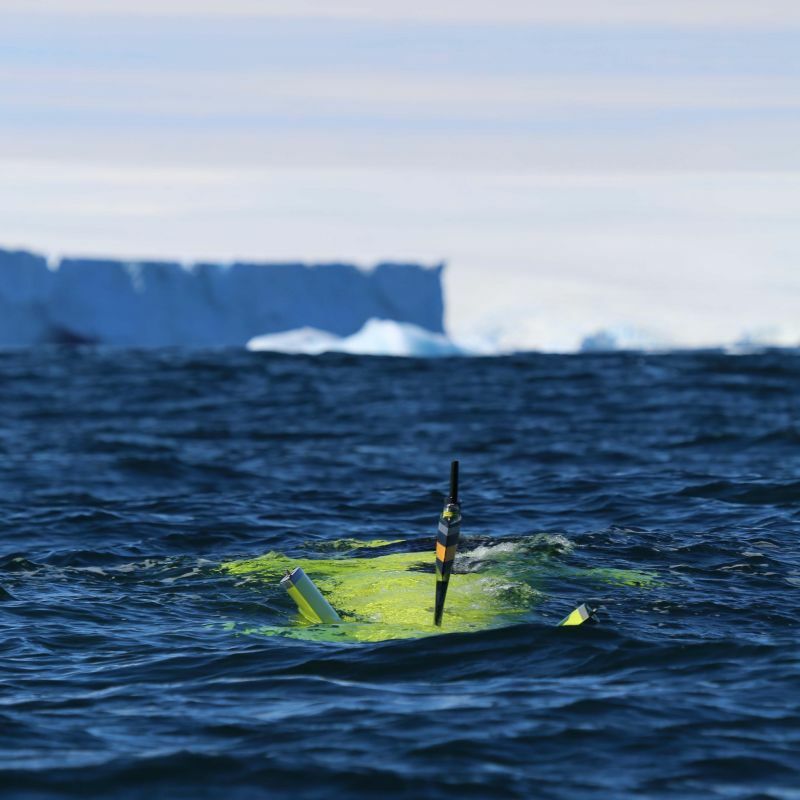 The $5 million AUV, named nupiri muka, is the first untethered Australian AUV to dive under an ice shelf and joins those from the UK and Sweden as the only AUVs in the world with this capability. Funded by the Australian Research Council (ARC) through the Antarctic Gateway Partnership, nupiri muka was successfully deployed under the Sørsdal Glacier ice shelf during the summer Antarctic season with support from the Australian Antarctic Program. Australian Maritime College AUV Facility Manager Peter King, who led a support team of engineers and scientists, said the successful first deployment under the ice opened the way for more ambitious polar research projects under ice shelves and sea ice in the future. This summer’s deployment under the Sørsdal Glacier means Australia has joined a very select list of countries with an AUV that’s capable of independently exploring under the polar ice,” he said. “The way in which ice shelves melt has a lot to do with what is happening underneath and how ocean circulation and water properties (temperature, salinity) interact with the ice. “The only way to research certain processes on a relevant scale is with an AUV, where we can collect large amounts of data across extensive areas. The Director of the Antarctic Gateway Partnership, Professor Richard Coleman, congratulated the AUV team on its significant achievements, which included a rare view underneath an ice shelf in the lead-up to a calving event from the Sørsdal Glacier. Completing this successful first deployment is a major step forward and testament to the skill, experience and detailed planning of the support team,” Professor Coleman said. “Activities such as these require a significant investment of both time and money, and deploying equipment in extreme environments such as Antarctica always carries an element of risk. (Photo): The autonomous underwater vehicle nupiri muka approaches the Sørsdal Glacier (Australian Antarctic Division).